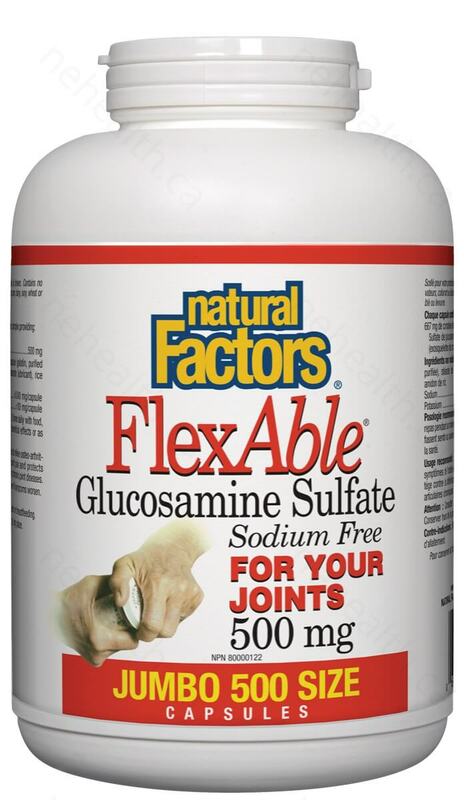 FlexAble Glucosamine Sulfate is a sodium-free formula for joint and cartilage support. 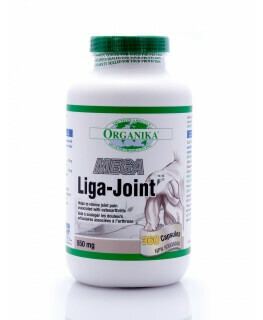 It stimulates the formation of key components of cartilage, reduces joint pain and protects against the deterioration of cartilage from chronic joint issues. Helpful with people that have osteoarthritis and who are on low-sodium diets. What are the key benefits of Natural Factors FlexAble? 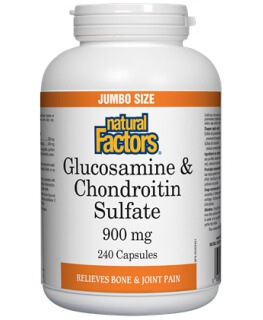 Glucosamine sulfate is a natural joint support found in the fluid around joints. When digested, it stimulates the production of key building blocks that form the cartilage needed for repairing joints. It also protects the existing cartilage and connective tissue of joints and increases cushioning to improve mobility and function. 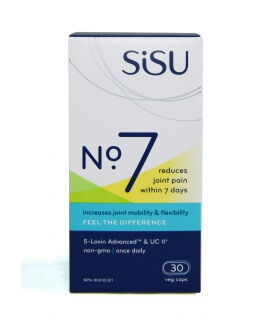 This makes glucosamine sulfate very useful for relieving the painful symptoms of degenerative joint conditions, such as osteoarthritis, and can help slow the progression of joint degeneration. How can I take Natural Factors FlexAble? 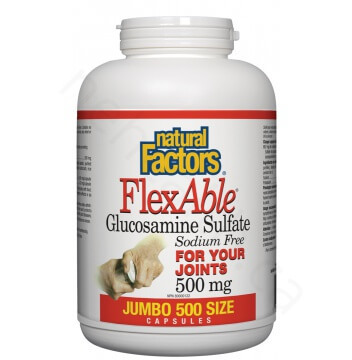 Natural Factors FlexAble Glucosamine Sulfate is made with potassium instead of sodium, making it an ideal glucosamine sulfate formula for people who wish to reduce their sodium intake or those with hypertension. Each easy-to-swallow capsule delivers 500 mg of glucosamine sulfate and is taken multiple times per day to achieve an optimal daily intake of 1500 mg. Supplementing the diet with glucosamine sulfate is an effective and natural way to optimize joint health and reduce the need for non-steroidal anti-inflammatory drugs (NSAIDs). It is an extremely well-tolerated, time-tested nutrient. Healthy joints are a key factor in physical mobility, comfort, and maintaining a quality active lifestyle. 1 capsule, 3 times daily with food, for a minimum of 4 weeks to see the beneficial effects or as directed by a health care practitioner. Bruyère, Olivier, et al. "Total joint replacement after glucosamine sulphate treatment in knee osteoarthritis: results of a mean 8-year observation of patients from two previous 3-year, randomised, placebo-controlled trials." Osteoarthritis and Cartilage 16.2 (2008): 254-260. Thie, N. M., NARASIMHA G. Prasad, and PAUL W. Major. "Evaluation of glucosamine sulfate compared to ibuprofen for the treatment of temporomandibular joint osteoarthritis: a randomized double blind controlled 3 month clinical trial." The Journal of rheumatology 28.6 (2001): 1347-1355.